Coaching skills are useful with everyone we meet, no matter if we have three minutes or an hour. 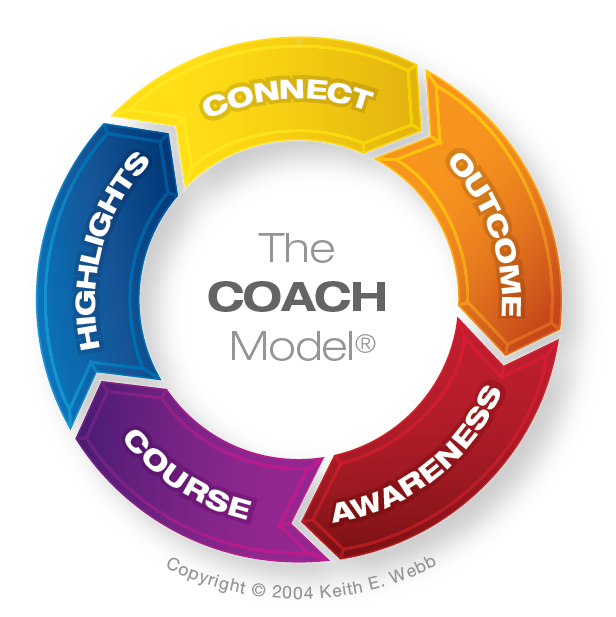 Here’s how to use the five steps of The COACH Model® in daily conversations. We have conversations everyday. Most of them are not coaching conversations. They are brief interactions on-the-go. You can build stronger relationships and see people excel by incorporating elements of The COACH Model® into your everyday conversations. Use the steps individually, one or two at a time, to add depth to your conversations. Connect. Build rapport and trust. People love to talk! Everyone feels valued and important when someone listens and pays attention to them. Ask a question, and really listen. Continue with additional questions to encourage the person to share more. Asking an employee, “How was your weekend?,” isn’t just small talk. It’s a chance to learn what they value and how they feel about their life right now. Outcome. Draw out what’s on the other person’s mind. In every conversation you have some kind of an agenda. Maybe you want to be heard, to pass on information, or get something done. You know your agenda, but what’s the other person’s agenda? If you know what’s on their mind, it will be much easier to work together, communicate, or enjoy time together. You know your agenda, but what’s the other person’s agenda? Find out by asking! Awareness. Encourage exploration, discovery, and shifts of perspective. In our fast-paced world we too often cut short conversations that require exploration. We’re looking for easy answers that don’t stir up more work. Encourage exploration by asking questions that will cause someone to reflect more deeply. Then you’ll find underlying issues, meaning, and new learning. Course. Form insights into 2 or 3 actionable steps. Insights without action steps are just good ideas. Rather than telling someone what you’d like them to do, invite them to take action by asking them what they will do next. When you give people a choice to do something, they feel more ownership and are more likely to complete it. Insights without action steps are just good ideas. Highlights. Deepen reflection and surface learning. Everyday we have experiences, but we don’t always learn from them. In fact, because we don’t reflect on our experiences we gain very little. Instead, ask Highlights questions to encourage deeper thinking to surface insights, lessons, principles, and learning. Coaching skills can be used in any situation, one skill at a time. Don’t wait until you have time or the situation to put them all together into a long conversation. 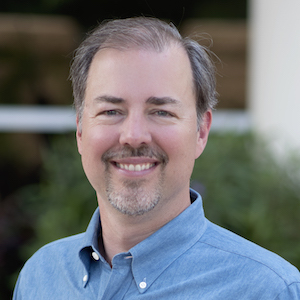 Keith is President of Creative Results Management. He helps busy leaders multiply their impact. 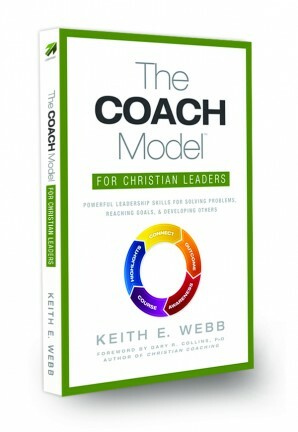 Keith is the author of several books including The COACH Model for Christian Leaders. Please note: I reserve the right to delete comments that are offensive or off-topic. You own your comments but give me permission to use them. See My Comments Policy. Read my Permissions Policy to know how you can use my posts. 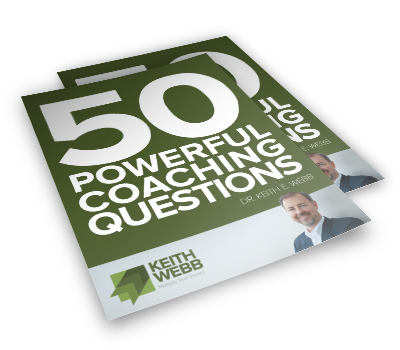 Subscribe to my weekly leadership posts by email and receive "50 Powerful Coaching Questions" for free! Do you want to achieve more significant results? If you want to multiply your impact - then this blog is for you. 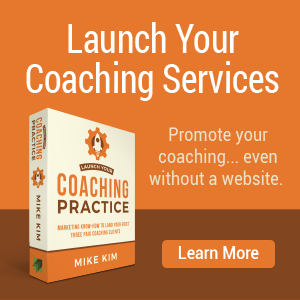 I write, speak, and coach on issues related to leader development. The COACH Model® is a memorable and practical tool for leaders to achieve results while simultaneously developing the capacity of people around them. It's challenging to make an impact. I can help. Order Now from your favorite bookseller! 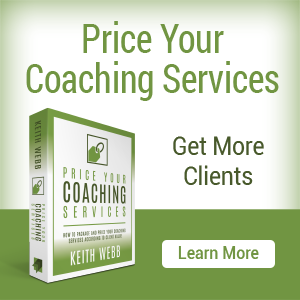 "Keith Webb's COACH Model® is an excellent resource for those of us involved in coaching others. His approach is clear, simple, and easy to follow and provides a great set of tools to help us in serving, leading and shepherding." "I wanted to give our managers tangible tools to help them in leading, guiding, and developing their direct reports. Keith Webb absolutely provided that. His workshop was fast-paced and very practical. Our entire team left with tools they could immediately use, that in fact, some used them the same afternoon in the work setting." I am an author, speaker, consultant and Professional Certified Coach. People enjoy my speaking and workshops for my humor, interactivity, and practicality. 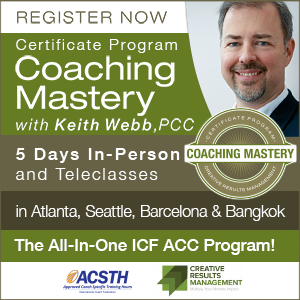 I lived 20 years in Japan, Indonesia, and Singapore and have facilitated leadership development and coaching processes in more than 20 countries.